You Can Visit the Showcase, but it’s Bambi’s World! 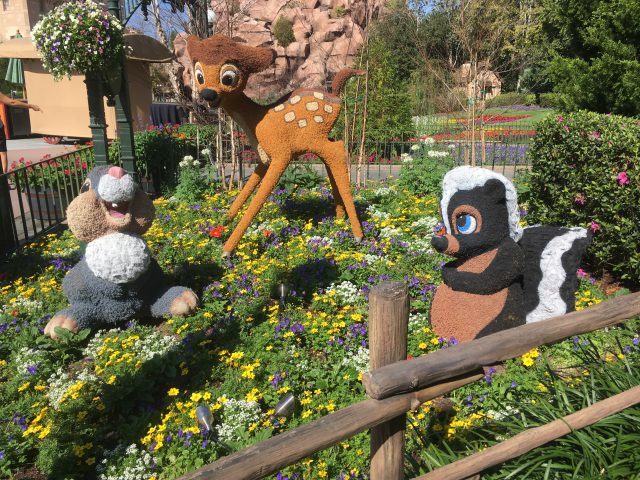 | It's "All in WDW"
You Can Visit the Showcase, but it’s Bambi’s World! I’ve rarely spent a lot of time snapping pictures of Epcot’s topiaries, but I never miss Bambi. Why, you ask? What’s special about Bambi? He is my mom’s favorite Disney character! So, Mom? This post is for you! ← Three Amigos in a Very Hot Pepper Patch!